Working at Maxis for 11 continuous years is an achievement on its own and now a new SimuguruDuke has joined the fray. The guy who has been in the team for such a long time is really excited that he is on board at the right time so as to answer Xbox One and PS4 gamers who are looking forward to the launch. “I think the main reason why I was inclined to become a Simguru is because of the great support and the excitement that prevails among console gamers. Our team as a whole is really looking forward to enter the arena of Playstation 4 and Xbox One gamers. Compared to the PC platform, everything is different about the consoles right from the controls, the graphics and the whole lot of DLC packs that we are supposed to deliver in the following months. With so much happy, it is obvious that senior employees like us should jump in to keep players in the loop and let them know what we are up to,” clarified SimguruDuke. 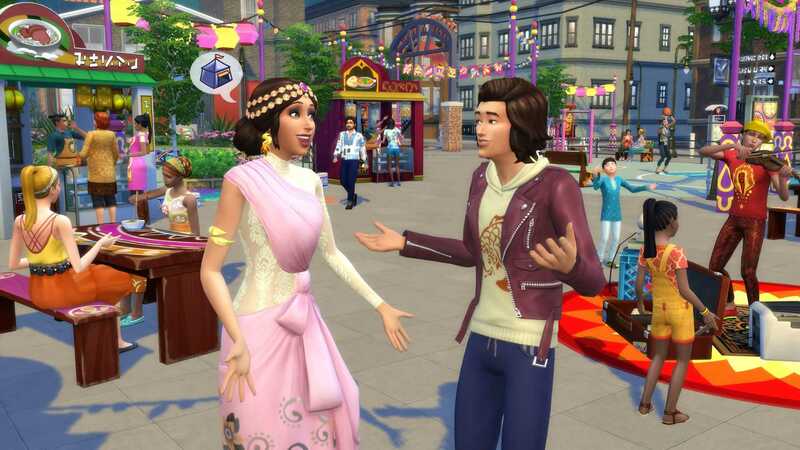 During a quick interview on his entry as a simguru, he revealed that he loves the Sims 4 and the Sims franchise as a whole for one important reason. “The biggest accomplishment, according to Maxis and our team is that we have come up with a game title that is very unique from everything else out there. Unlike so many games made on different genres, what we do is a title in which you can never go wrong. There is no right way to play the sims 4 which is what makes it so special to gamers and for us. I love it and I have been here since the Sims 3 was in development 11 years ago,” he added. SimguruDuke joined the company as a gameplay engineer and later got promoted to Development Director when the development for the new game began. He has been part of the team and has also worked on several stuff packs, game packs and expansion content that makes the title so addictive on the PC now. While everything seems to be going smooth, players are still unsure as to how they want to play the game on the PS4 and the Xbox One console. The controls will play a huge role in determining whether the game is fun or not. It is going to make it either addictive or simply unplayable for a huge gamer base. In order to avoid issues, Maxis and Electronic Arts had planned to launch gameplay stations at the upcoming Gamescom 2017 event to be held in Cologne. After taking in player suggestions, they will make a final call on whether to go with point and click or free movement in the Sims 4. I love The Sims and I am so excited The Sims 4 is coming to consoles! It’s being released right close to my birthday as well! Thanks to all the creators behind The Sims!! !